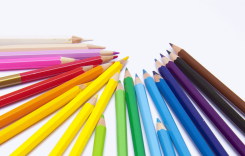 In this post I’m going to give a short overview of the grammar resources to learn German. The post is dedicated to all that want to learn, improve and get fluent in German. Of course this my point of view as teacher of German with already some experience behind. 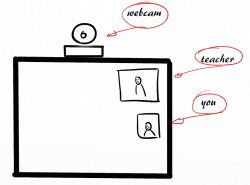 Before we start with the review I want to mention the possibility to get online German class from Studio NaVivo, with a virtual classroom that make you feel as the teacher is sitting in front of you. Let’s start the review with old style paper book! You need a grammar book to start with. A short summary of the German grammar is the one edited from Langenscheidt, you find details below. There are the most important topics and the tables for the conjugation of the most common verbs. It is very useful if you are at a starting level or you want to refresh your German knowledge. For a medium level, the Dreyer-Schmitt is very much used, either in schools and in language schools. I saw various versions of it: German, English, Italian and Spanish. Grammar is explained in a clear way and there are plenty of homework. There are no exercise, read the book and understand it is the exercise. If you happen to have a German friend ask him to read a couple of sentences of this book and ask him if he understood it… but he doesn’t have to be a language teacher. The linguistic portal Bab.la offers 39 dictionaries. First step to use bab.la is to select a dictionary, such as German-Italian. Then you can start writing the word you are interested in, it can be either German or Italian. While you digit you will be suggested a selection of words you can choose. Very useful the audio pronunciation, even if the synthesized voice is not great. Furthermore there are detailed example for each meaning of the words. Eventually, very useful are the thematic dictionaries on the website, that can be downloaded in pdf to use them offline. If I have to add a critic on the website, it’s a bit difficult to find the information among all advertisements. Also Duden dictionary is a good reference to learn. Other than the previous this is a monolingual dictionary, so it is for a more advanced use. With the meaning of each word there are also synonyms, examples, pronunciation and grammar, including singular and plural declination of each case and verbs conjugation. Interesting to know, for some words is indicated if the word is requested for the Zertifikat Deutsch, it is useful if you plan to make a language test. Unfortunately the examples are a bit scanty. For sure one of the most used, if not the most used, probably also due to a simple layout, with unobtrusive advertisements that allows to change from a word to another and from a vocabulary to another, having at the same time a good overview of all the meanings of a word. Also the Android application is very handy. A final mention for Studio NaVivo German homework, you can find original exercises as well listening training. 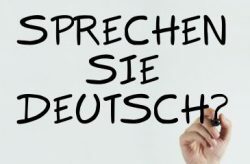 If going over some grammar subject you discover to need some refresh of the German grammar and you need help please refer to my pages German lessons in Munich or go directly my contact page. 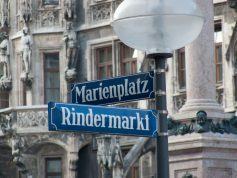 Looking for German courses in Munich? Munich is a great location to learn German. Begin the lesson. My name is Giulia Pulizzotto, and I am a private teacher of German and Italian. I am German, Italian and Polish mother tongue. In addition I speak English and French. I am graduated in linguistic from the LMU University. I have taught German and Italian in language schools in Munich before launching my own business. I've got two passions: language teaching and travel, both express my interest in getting in touch with different cultures. Almost all the photos you see in my website come from my trips. German exercise, B2 level, nominaler und verbaler Stil.